If the reports that Facebook is developing virtual reality software are accurate, the technology could revolutionize the way people work and play online. That's the word coming from analysts who were intrigued after a Facebook executive told Re/code that the company is working on virtual reality apps. "Now this is a big deal," said Dan Olds, an analyst with The Gabriel Consulting Group. "It's potentially a revolutionary extension of the Facebook user interface and experience. Think about what you could possibly do with this ... A celebrity could give you a tour of their home and it would seem like you're with them -- right next to them." Virtual reality software also could enable users to experience a concert from the best seat in the house, with audio and video clarity, Olds said. When the user turns her head, she can see to the sides of her and hear the music from a different angle. So far, these are suppositions. Facebook has not laid out its plan for putting virtual reality to work. The company didn't respond to a request for comment. In March 2014, the social network spent $2 billion to buy Oculus VR , a company that makes virtual reality gaming goggles. Though Oculus hadn't released a consumer product, the headset was designed to give users a 100-degree 3D field of view. At the time the acquisition was announced, Facebook said it planned to extend Oculus' reach from gaming to new verticals, including education, communications and media. Now Facebook may be putting that $2 billion investment to work. On Tuesday, Facebook Chief Product Officer Chris Cox, speaking at the Code/Media 2015 conference in Laguna Niguel, California, said the company is working on a virtual reality project. "I mean, virtual reality is pretty cool. We're working on apps for VR," Cox said, according to Re/code. He added that instead of Facebook users posting comments, photos and video, they could create their own virtual reality content. Ezra Gottheil, an analyst with Technology Business Research, said if Facebook can make virtual reality work smoothly, it could be a game changer for the way people use the Internet. "Like Google, Facebook invests part of its profits in off-center projects with potential, even if it's a long walk back to the main product," Gottheil said. "Oculus is out there, but if you have Oculus, then you need software. 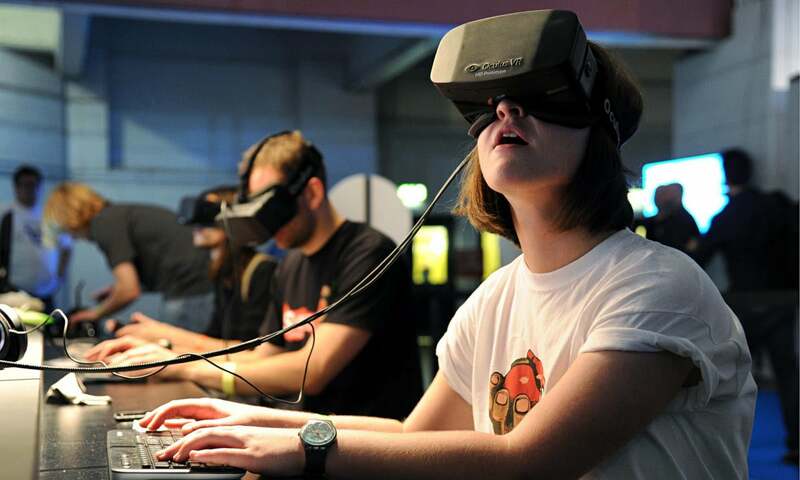 You can see virtual reality hardware and software as part of a social play both in terms of productivity applications, like virtual meetings and classroom,s and in terms of entertainment applications like multiplayer games." Facebook wouldn't be the first company to try to bring virtual reality mainstream, and it's a tough challenge to take on, he said. "There have long been amazing demos, but either the experience itself was too limiting or using it for a long time was too uncomfortable, or both," Gottheil said. "It's hard to make it good enough and to make the experience rich enough to offset the discomfort and isolation of wearing the gear." However, with the right equipment and software, virtual reality could become an immersive experience that goes beyond what is available today. "What we'll see first is consumption, where users select experiences that have been created by others," said Olds. "Down the road, we'll see the ability for users to create their own experiences and record them to some virtual reality standard so that it can be played back by others … Now that's a big deal." Olds added that he expects widespread adoption to take five to 10 years.